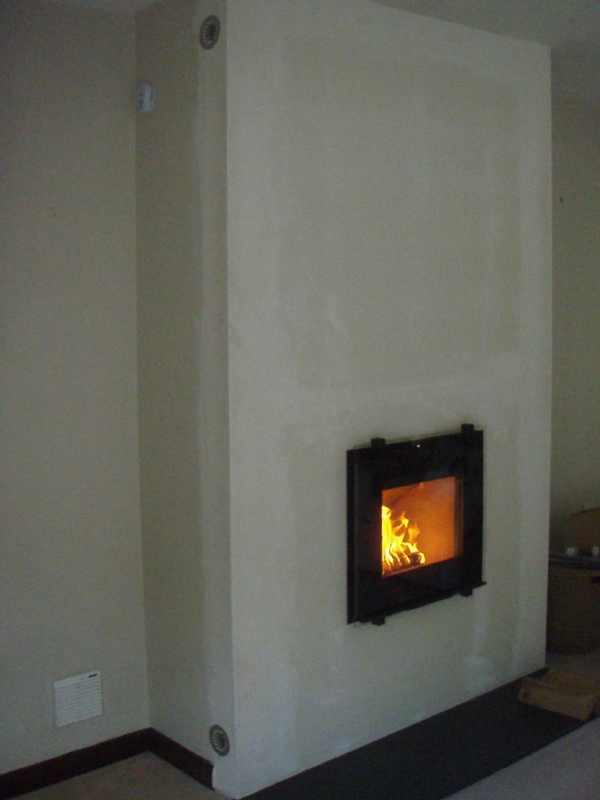 Hwam 3045 inset stove installation wood burning stove installation from Kernow Fires. 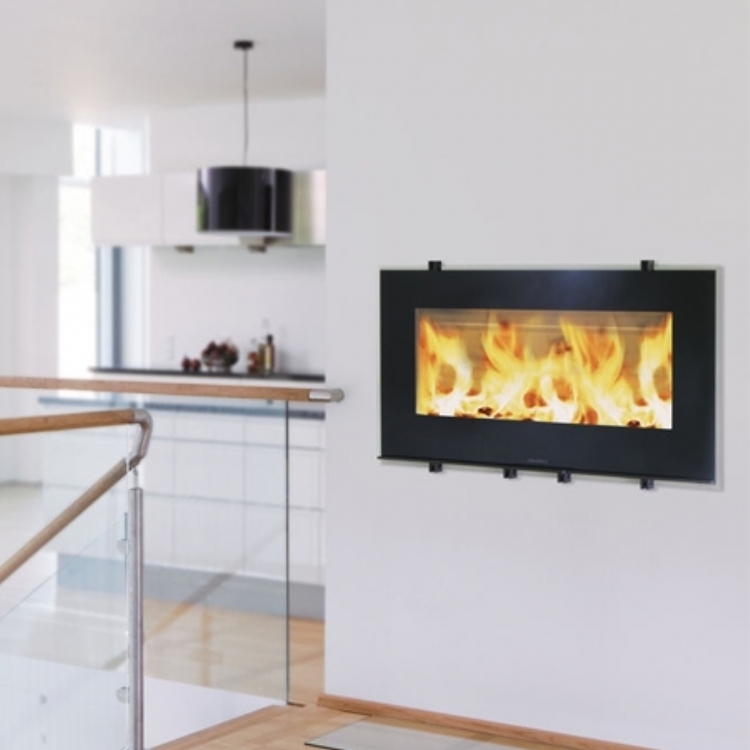 Special requirements: The fire breast is slim with little depth. 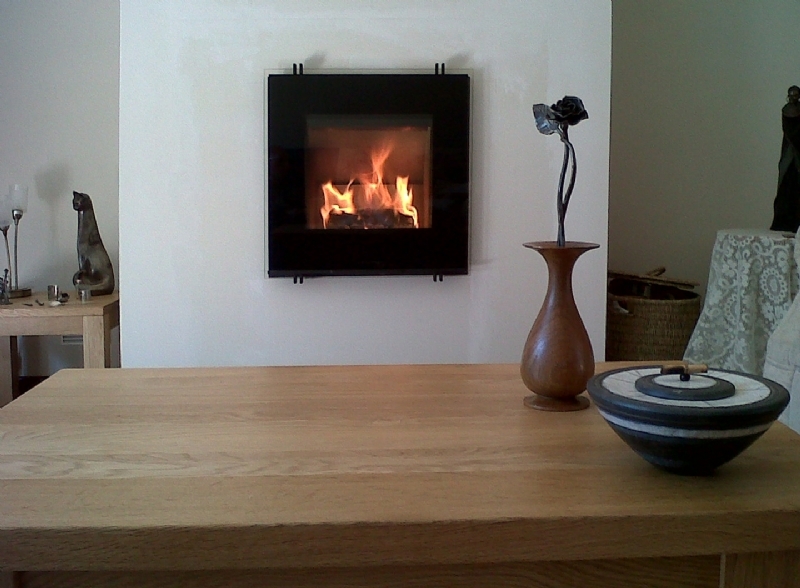 The clients fell in love with the unusual vertical lift glass door of the Hwam 30/45 woodburner but the fireplace was a little too small to fit the stove. 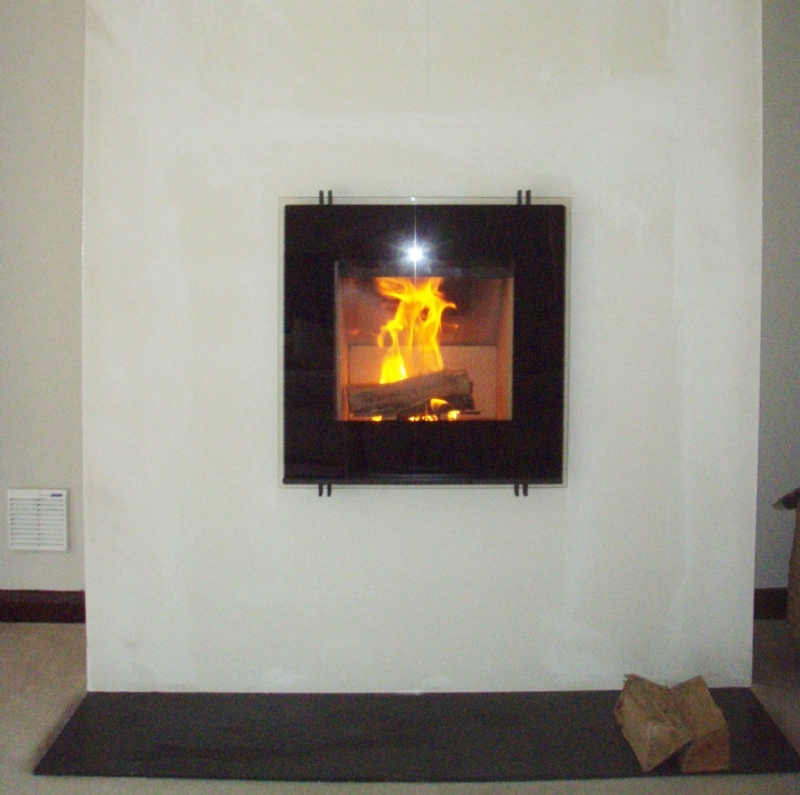 To remedy this we built a steel frame around the original breast extending slightly to the side and in front which then enabled us to insert the fire flush with the wall and add vents to the top and bottom to increase air flow.